HARARE – For the first time since Zimbabwe won independence 38 years ago, Robert Mugabe is out of the picture as the former British colony votes for a new president. Many Zimbabweans hope the election will help rid the country of its pariah status and spark a recovery in its failed economy. 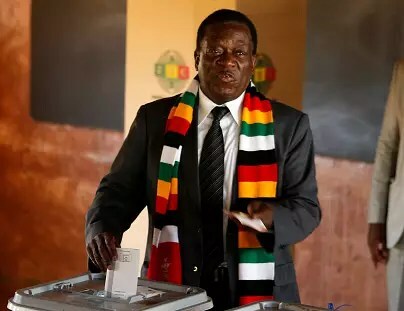 Although 23 candidates are in the presidential race, the contest is seen as a straight fight between veteran Emmerson Mnangagwa, and his young challenger Nelson Chamisa. A run-off will follow on September 8 if no candidate wins more than half the votes. 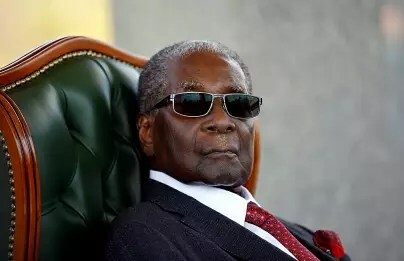 The 75-year-old current president is a longtime ally and aide of Robert Mugabe, from the Zanu-PF party which has held power since independence from white minority rule in 1980. He was ushered into power last year when Zimbabwe’s generals seized control and ousted the country’s veteran leader. A former intelligence chief, he is known as “the Crocodile” for his political wiliness – although he says he is as “soft as wool”. A survivor of several alleged assassination attempts, he has pledged to revive the economy, attract foreign investment and heal racial and tribal divisions. He has urged the country to remain peaceful. He held a final campaign rally in the national stadium in Harare on Saturday, and called for unity to build “a united Zimbabwe together”. However, enthusiasm even among his supporters is said to be lukewarm. Mnangagwa’s age provides a target for those who say the time is ripe for sweeping away the country’s old guard. The former spy chief and veteran of the independence wars of the 1960s and 1970s has also been accused of involvement in atrocities carried out while he was in government. Nelson Chamisa – Zimbabwe’s youngest president? The 40-year-old lawyer and Pentecostal preacher leads the main opposition, the Movement for Democratic Change (MDC), of which he was a former youth leader and one of its founders. He was only two years old when Zimbabwe gained independence and is its youngest ever presidential candidate. People can only run for the post when they turn 40. 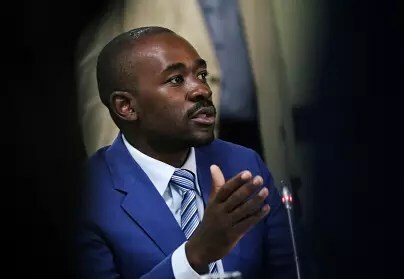 Elected an MP at 25, Nelson Chamisa was beaten up by state security agents during an opposition crackdown in 2007, suffering a fractured skull. He became a cabinet minister at 31 and was in government between 2009 and 2013 when his party entered a unity deal with Mugabe following a disputed election. At a recent campaign rally he said it was time for Mnangagwa to move aside for a new generation. However, he has been struggling to repair divisions within the MDC since the death of former leader Morgan Tsvangirai. His election pledges include commitments to establish anti-corruption courts, develop rural areas, universal access to health care, social justice and to rebuild infrastructure. But on the campaign trail has been hauled up for claims about having held discussions with other nations’ leaders – including US President Donald Trump – that were denied. After nearly four decades as leader and even longer as part of the independence struggle, few expected Robert Mugabe to do what he did on the eve of the election, turning on the ruling Zanu-PF and refusing to back its candidate in the election. His intervention was rambling but it had an impact. It was swiftly followed by reports that the security service assigned to him had been withdrawn – prompting alarm at the partisan and arbitrary nature of government in the country. Mugabe had been largely silent and invisible since he was dumped from the presidency in November 2017. Although he will always be linked to the country’s gaining of independence, his time has passed. His call for a return to “constitutionality” may grate with those who suffered from persecution, violence, land-grabbing and alleged electoral fraud under his rule. Huge challenges lie ahead: the economy has been destroyed, unemployment and poverty are at catastrophically-high levels, the country’s debts are massive and its currency virtually worthless. But there is awareness that this is a chance to turn the page after Mugabe’s near-dictatorship which has brought the country to ruin. Previous elections were marred by vote-rigging, violence and intimidation of the opposition. Some white farmers whose land was seized under Mugabe have been returning. Those who follow Zimbabwe closely say this is a crucial moment in the country’s history: “an opportunity to break with the past,” said international observer and ex-Liberian president Ellen Johnson Sirleaf. It could also open the door to the outside world after Mugabe’s brutal tenure, and bring much needed foreign investment. However, once again there have been reports of voters being intimidated. Also, there are fears that a close result could be contested by the losing side, bringing instability – and that Zanu-PF’s grip on power is such that it will not let go easily.